Small red solid bumps or pus-filled pimples often develop. While these may resemble acne, blackheads are absent and burning or stinging may occur. Resist the urge to pop anything – the rosacea condition is quite different and requires specialized treatment. 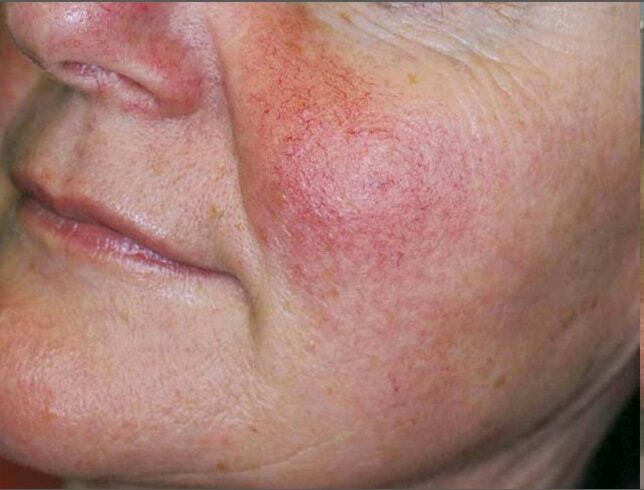 In its most advanced phase, rosacea exists as a more intensified version of all of the previous conditions. 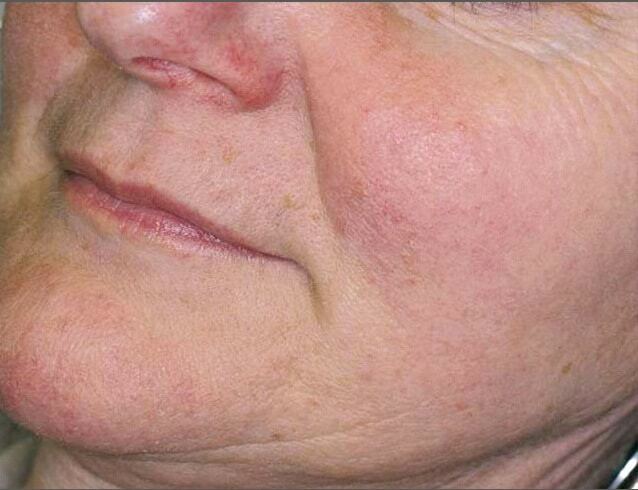 More veins, deeper redness and an increase in the size of the nose – called rhinophyma – mark the last phase of this chronic skin condition. Am I a Rosacea IPL Treatment Candidate? We're here to help! Laser and IPL treatments are used to remove visible blood vessels or reduce extensive redness. These modalities emit wavelengths of light that target tiny blood vessels just under the skin. Heat from the laser’s energy builds in the vessels, causing them to disintegrate. Generally, at least three treatments are required, depending on the severity of redness or visible blood vessels. IPL and laser treatments offer the quickest route to reducing redness and are incredibly effective either on their own or when combined with prescription oral and topical therapies. At TLC Medispa we have extensive experience using IPL and laser to treat redness and vessels associated with rosacea. Most often we are more familiar with these treatments and less expensive than your doctor. Read more about Photofacials here.